PrEP and PEP are medications designed to reduce risk of and exposure to HIV according to the Centers for Disease Control and Prevention. PrEP is taken once a day and can reduce exposure risk by roughly 90 percent while PEP can be taken within 72 hours of potential exposure and also significantly reduces the risk of acquiring the virus. The CDC estimates that approximately 220,000 Californians are at high risk for HIV exposure and 139,000 Californians are living with HIV. New HIV diagnosis rates are highest in California, the CDC says, especially in the counties of Los Angeles, San Francisco and San Diego. Gloria’s resolution, co-authored by Assemblyman Mike Gipson (D-Carson) and the LGBT Legislative Caucus is the first time an awareness day for the HIV prevention drugs has been established in California. While the resolution only designates Aug. 16, 2018, as the day of awareness, it can be extended to future years by the state legislature according to Gloria’s office. 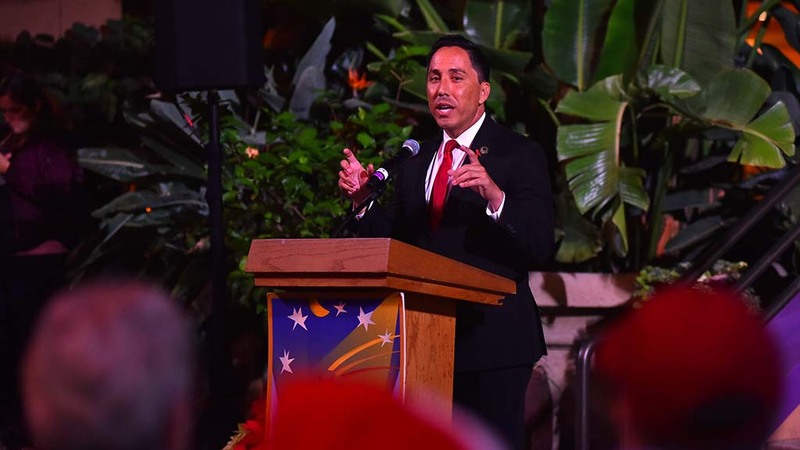 Gloria is the majority whip in the state assembly, a member of the state’s LGBT Legislative Caucus and represents the 78th district comprised of the cities of San Diego, Coronado, Del Mar, Imperial Beach and Solana Beach.